The tweet is Trump’s latest nod to Putin, whom he has praised as a strong leader - inspiring considerable backlash from U.S. politicians from both parties who call the Russian president an authoritarian leader who poses a danger to U.S. interests. President Barack Obama’s administration on Thursday announced it will expel 35 Russian ‘‘intelligence operatives’’ and shutter facilities in Maryland and New York believed to be used for the Kremlin’s intelligence-gathering purposes, as a way to punish Moscow. 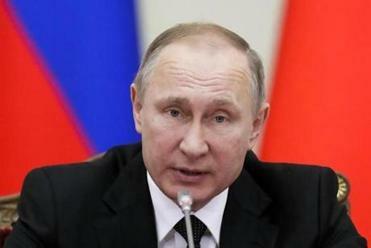 U.S. intelligence agencies have alleged that Russian state-backed hackers leaked information about then-presidential candidate Hillary Clinton to sway the election in Trump’s favor. Russia denies the charge. For much of this year, Donald Trump and Vladimir Putin have been engaged in a long-distance courtship. Trump remained relatively quiet about the substance of the sanctions announced Thursday, even as Republican lawmakers said they were a necessary, overdue action that should be expanded in the future. 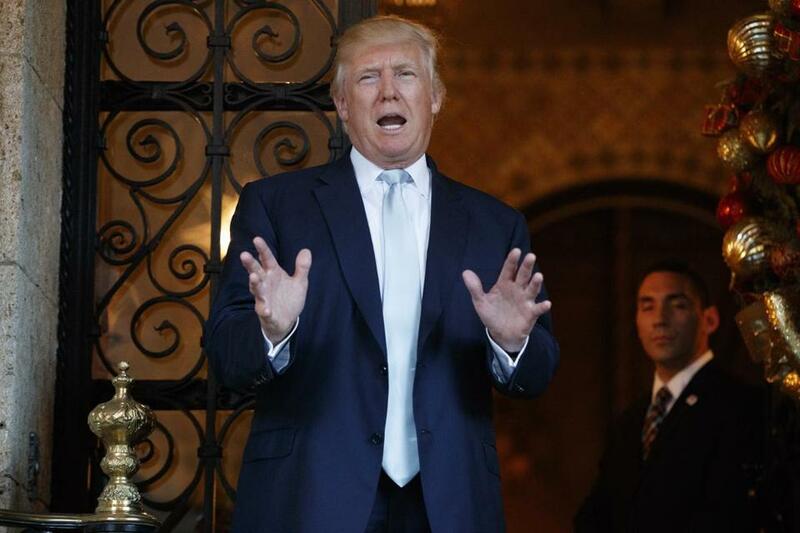 The president-elect said only that it was ‘‘time for our country to move on to bigger and better things’’ and promised that he would meet with intelligence leaders next week to get more details. Those comments were not enough for some members of Congress. Traveling in Eastern Europe, Sen. John McCain, R-Ariz., said, ‘‘I agree with the president-elect that we need to get on [with] our lives - without having elections being affected by any outside influence, especially Vladimir Putin, who is a thug and a murderer,’’ according to Reuters. McCain chairs the Senate Armed Services Committee, which on Friday scheduled a Jan. 5 hearing to investigate foreign cyber threats. Outgoing Director of National Intelligence James Clapper Jr., Undersecretary of Defense for Intelligence Marcell Lettre and Adm. Michael Rogers, the head of U.S. Cyber Command, are expected to testify. Late Friday, Trump again took to his Twitter account to critique how the media has been covering the issue, tweeting: Russians are playing @CNNand @NBCNewsfor such fools -- funny to watch, they don’t have a clue! @FoxNews totally gets it!